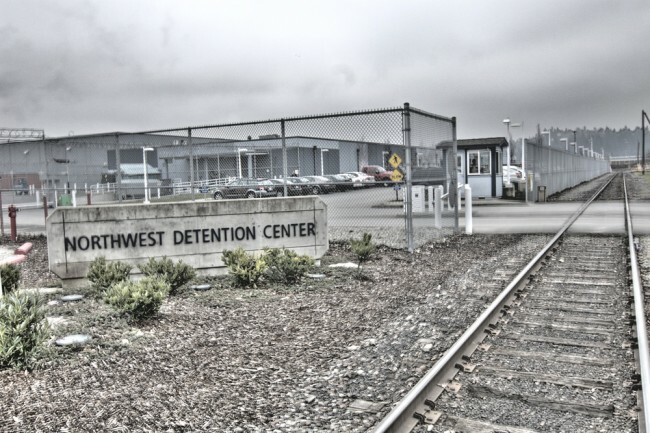 Several hundred detainees at the Northwest Detention Center (NWDC) in Tacoma initiated a hunger strike on March 7, 2014 to express concerns with national immigration policy and to raise awareness about the conditions of their confinement. On March 24 some detainees initiated a new hunger strike. Beginning on March 27, ICE began placing individuals in solitary confinement in retaliation for their support of the hunger strikes. These individuals were put in solitary confinement where they were kept in cells for 23 hours a day and were deprived of meaningful interactions with others. The Plaintiffs represented by ACLU-WA and CLS were placed in solitary confinement after corrections officers entered their living area and invited approximately 20 detainees to meet with an assistant warden to discuss their reasons for engaging in a hunger strike. The Plaintiffs and other detainees who volunteered to attend the meeting were immediately placed in handcuffs and taken to individual isolation cells. Plaintiffs were not told why they were placed in solitary confinement nor how long they would have to live in isolation. Handling the case are ACLU-WA staff attorneys Sarah Dunne, La Rond Baker and Margaret Chen; Columbia Legal Services staff attorneys Melissa Lee, Nick Straley, and Andrea Schmitt; and ACLU-WA cooperating attorney Sal Mungia of the firm Gordon Thomas Honeywell, LLP.